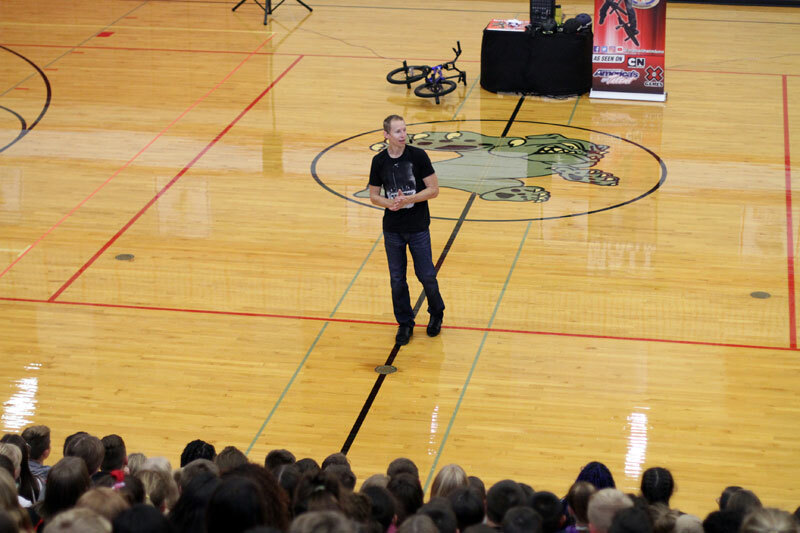 Booking a school assembly can seem like a fairly daunting task, especially if you haven’t done it before. However, it can be quite simple if you know the right questions to ask. Here are the seven questions that you should ask every school performer before you book. 1. What do you need from the school? No two assemblies are alike. Most performers are pretty self-sufficient, but some have more needs than others. If the performer doesn’t tell you up front that they will be providing their own sound system make sure to ask if they require one. Other common items a performer might need are a video projector, table, access to electricity, or accommodations to load in large equipment. 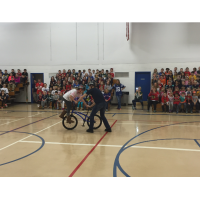 Matt Wilhelm speaking to students about kindness. The main thing the school will be providing is the physical performance space for the show. It’s also a good idea to tell the performer what kind of space you are providing. For example if your school only holds shows on the stage tell them in advance because maybe a stage doesn’t work well for this particular type of show. 3. How long does it take you to set up / tear down? 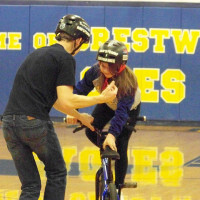 This is crucial if the performance space is a gymnasium or cafeteria. 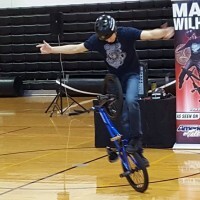 If the show is being held in the gym make sure to reserve extra time before and after the show so the performer doesn’t have to set up during gym class. If you are holding the show inside the cafeteria make sure to account for the custodian setting up before lunch or cleaning up afterward. 4. What dates are you available? Selecting a date can sometimes be the hardest part. 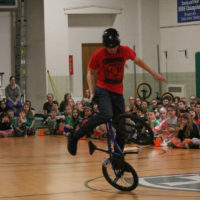 You not only have to juggle the performer’s calendar, but also the school calendar as well. If your school is picky about assembly dates make sure to get those dates from the school before you contact the performer. If your school is flexible with assembly dates you can get a range of dates from the performer and then take those dates to the administration for approval. 5. Do you have any verified reviews or video testimonials? 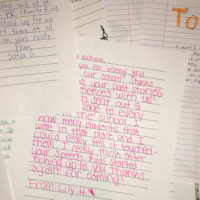 You are probably wondering, “Is this show any good?” It’s important to see either reviews from a verified service like Google or video testimonials from principals, teachers, and parents. Asking for references is acceptable too, but contacting extra people means more work for you. I’ve noticed that people stopped asking for references altogether after I put video testimonials and Google reviews on my website. 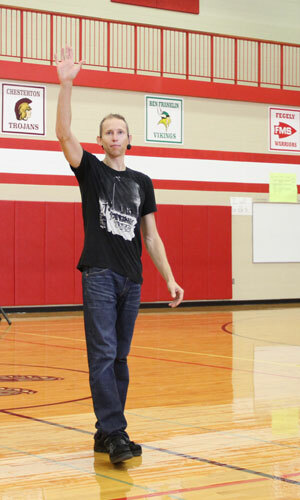 Matt Wilhelm speaking to students at a school assembly. 6. How many shows should we do? This aspect often gets overlooked but can make or break your show. Many performers offer different versions of the same show depending on the age of the audience. If you have high enrollment it might also make sense to do more than one show so the crowd isn’t so big. Let the performer know your school enrollment and grade levels attending, and they should be able to let you know what will work best. 7. Are there any travel fees? Some performers charge extra if they have to travel beyond a certain distance – usually somewhere around 100 miles. Make sure you know in advance exactly how much the travel fees will be. 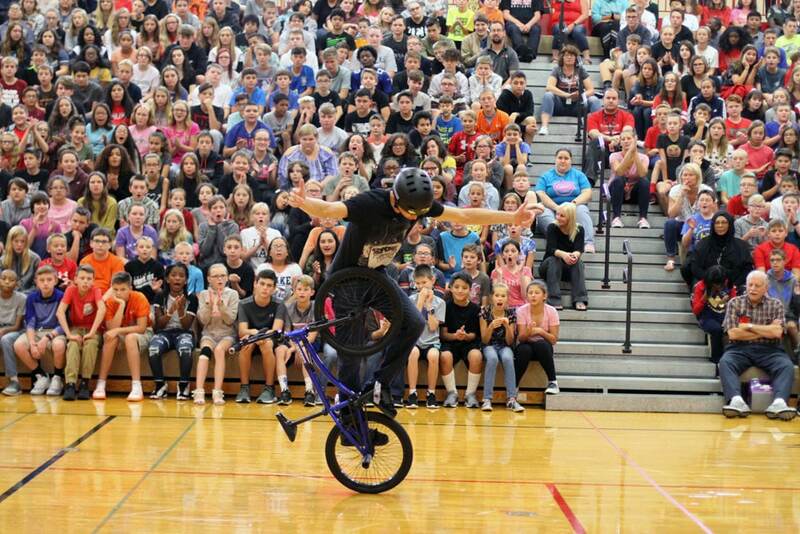 Often the performer will waive the travel fee if you can find another school to book on the same day. Also, make sure to ask if there is a discount for booking multiple schools on the same day. You can save a tremendous amount of money by making a call to a nearby school and splitting the day with them.